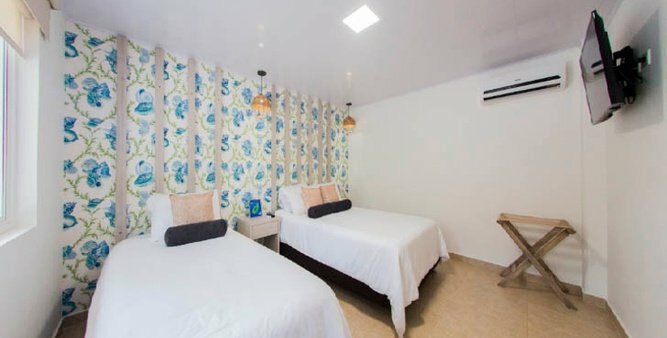 The standard double rooms at the Isla Bonita Hotel by Faranda Boutique are warm, charming bedrooms that offer you a very comfortable place to unwind as a couple. 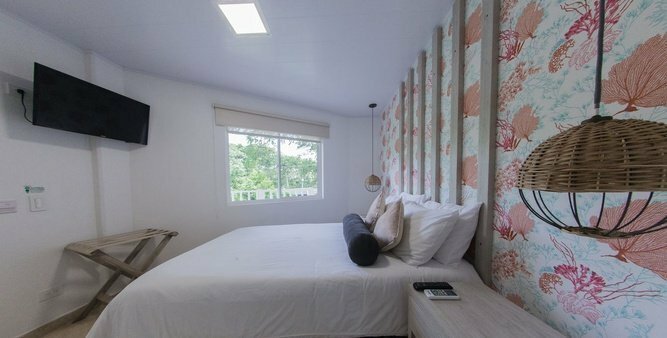 The standard double rooms at the Isla Bonita Hotel by Faranda Boutique are warm, charming bedrooms that offer you a very comfortable place to unwind as a couple. They are equipped with a balcony overlooking the garden or the street, television, air conditioning, mini-safe, refrigerator and private bathroom with toiletries. 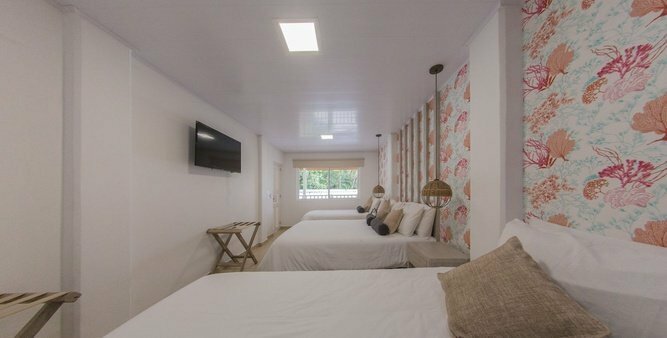 The superior rooms for 4 people at the Hotel Isla Bonita by Faranda Boutique are designed to adapt to all your needs. 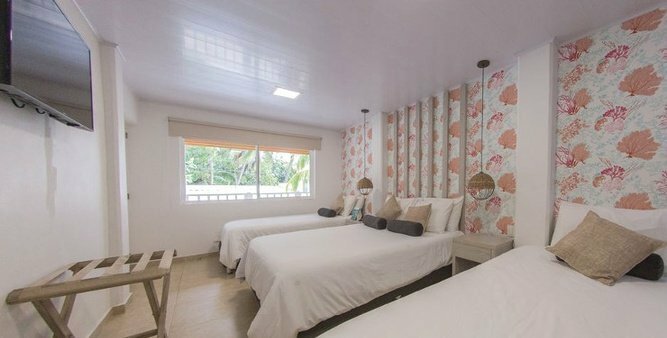 The superior rooms for 4 people at the Hotel Isla Bonita by Faranda Boutique are designed to adapt to all your needs. Their 31m2 offers a beautiful view of the garden area, the street or the patio, television, air conditioning, mini-safe, refrigerator and private bathroom with toiletries. 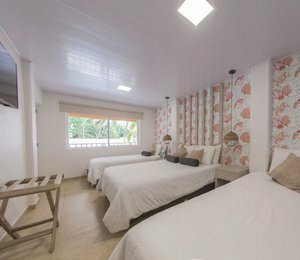 The standard rooms for 4 people of the Isla Bonita Hotel by Faranda Boutique guarantee a very pleasant stay on your trips with friends. 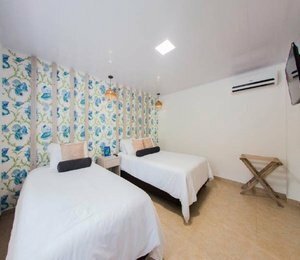 The standard rooms for 4 people of the Isla Bonita Hotel by Faranda Boutique guarantee a very pleasant stay on your trips with friends. Their 24 m2 are equipped with balcony overlooking the garden or the street, television, air conditioning, mini-safe, refrigerator and private bathroom with toiletries. 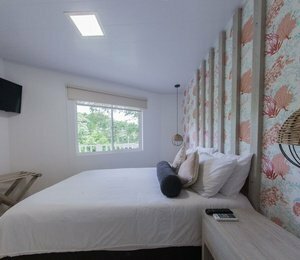 The superior double rooms at the Hotel Isla Bonita by Faranda Boutique have a special charm that is perfect for surprising your partner on your romantic trip. 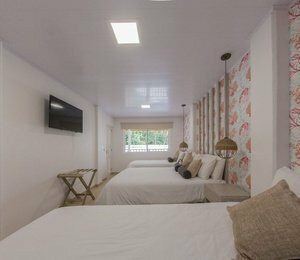 The superior double rooms at the Hotel Isla Bonita by Faranda Boutique have a special charm that is perfect for surprising your partner on your romantic trip. Overlooking the garden area, the pool or the patio, their 32 m2 includes a television, air conditioning, mini-safe, refrigerator and private bathroom with toiletries.